Stage 1) The first Chemical preservation stage is completed by direct dipping of the timber window into the preservative solution to protect against moisture absorption. Stage 2) The second Chemical preservation stage is completed by direct dipping of the timber window into the preservative solution to protect against fungi, pests and mould. Stage 3) Primer and Undercoats are applied. Stage 4) First top Coat is machine sprayed to frame. Stage 5) Top Coat is machine sprayed onto the frame. The Dipping process consists of simply immersing the wood in a bath of creosote or other preservative for a few seconds or minutes. Similar penetrations to that of brushing and spraying processes are achieved. It has the advantage of minimizing hand labour. It requires more equipment and larger quantities of preservative and is not adequate for treating small lots of timber. Usually the dipping process is useful in the treatment of window sashes and doors. Treatment with copper salt preservatives is no longer allowed with this method. Here at Timber Windows Direct we use the Classic RAL colour chart. RAL is the most popular Central European Colour Standard used today, The colours are standard for use in architecture, construction, industry and road safety. RAL is a colour matching system used in Europe that is created and administrated by the German RAL gGmbH (RAL non-profit LLC), which is a subsidiary of the German RAL Institute. In colloquial speech RAL refers to the RAL Classic system, mainly used for varnish and powder coating but nowadays there are reference panels for plastics as well. Approved RAL products are provided with a hologram as of early 2013 to make unauthorised versions difficult to produce. Imitations may show different hue and colour when observed under various light sources. Why not obtain a quote for timber windows in a RAL colour? What are the requirements for my Timber Windows to be fire escapes? • Sill height – The bottom of the openable area should be no more than 1100mm above the floor area. Only one window per room is Generally required, but you should refer to the approved document B to ensure you are compliant with building regulations. Here at Timber Windows Direct we have made this simple for you. Timber Sash window on Weights will need to be 650mmW x 1250mmH or greater. Timber Sash window on Springs will need to be 580mmW x 1215mmH or greater. 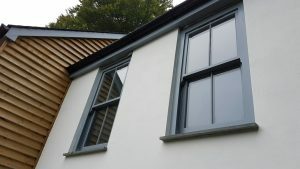 https://timberwindows-direct.co.uk/wp-content/uploads/2017/09/Oxford-project-white-windows-8.jpg 579 1030 James Spraget https://timberwindows-direct.co.uk/wp-content/uploads/2017/06/TWD-logo-small.png James Spraget2017-11-16 11:32:572018-01-19 16:46:45Timber Windows - Fire escape measurements. Timber Windows and FENSA Certificates. When do you need a FENSA certificate? We often get asked by our customers if we can supply a FENSA certificate when supplying Timber Windows. There seems to be some confusion over what FENSA actually is, plus how it is relevant to works being carried out in your home. Even with a cursory glance at the FENSA website, It states that, FENSA is a government authorised Competent Persons Scheme for the replacement of windows and doors in England and Wales. I will clear up any confusion…….. Enabling those purchasing Timber Windows to understand when a FENSA certificate is required. FENSA stands for, The ‘Fenestration Self-Assessment scheme’ which has been set up by the Glass and Glazing Federation (GGF). As a means to self-certify compliance under Building Regulations, without the need for a separate assessment from Building Control. If your installer is not registered with FENSA. All works that include replacing windows and doors will require you to get a certificate from Local Authority Building Control instead. 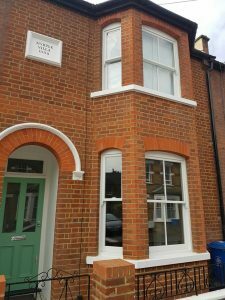 When does FENSA apply to your Timber Windows? FENSA does not apply to conservatories, porches, commercial premises, new build properties or extensions. In all of these instances you are required to go through the Local Authority Building Control process. 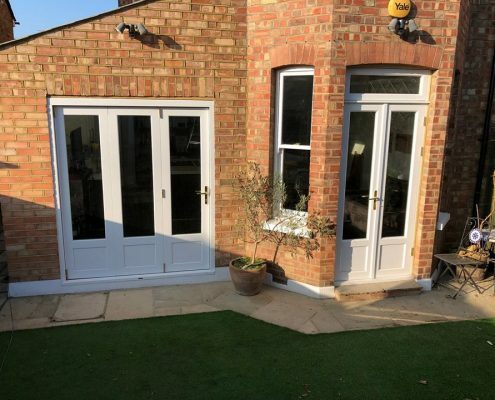 If the Timber window or door is a new addition to your property, or the building itself forms part of an extension, or is a complete new build, then FENSA does not apply and you will require approval from Building Control. If you are replacing an existing window, you can use a FENSA approved installer or alternatively apply for full Local Authority Building Control approval. Please note that the homeowner is ultimately responsible for ensuring that their window or door installation complies with these standards and regulations. Visit Toughened safety glazing – Building Regulations for information regarding building regulations. It’s a fact! 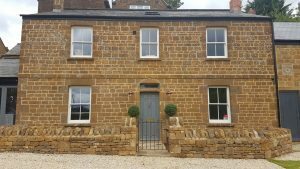 Timber Windows are proven to increase property value and the cost of this refurbishment is surprisingly lower than you would expect! If you purchase your Timber windows from a supplier and then hire a carpenter or window fitter to install them the price of the total refurbishment would be lower than if you requested a large national windows company to supply and fit them for you.